Lavender holds its beauty not only in its deep purple hues but also its natural medicinal healing properties. As popularity grows for the use of essential oils, lavender is favored amongst health minded individuals because of its versatility and pleasant, calming aroma. The applications for lavender are endless, from baking to DIY household cleaners. But the true benefits are in the healing properties for the mind and body. Lavender’s scent alone can lift depression and ease stress and anxiety. The oil sends a calming message to the brain making it a natural sedative and relaxant. By mixing water with a few drops of lavender in a spray bottle you can spritz yourself throughout the day to increase beta power and feel an overall sense of positivity and calmness. Lavender has a soothing aroma that makes for an excellent nerve tonic that helps aid in alleviating pain. Many people who struggle with migraines can benefit from massaging lavender oil onto their temples and at the nape of their neck. A mixture of the scent and its medicinal powers can lift the migraine and produce a meditative state. Commonly known for its anti-inflammatory properties, lavender makes for an excellent solution for healing cuts, burns, eczema and even dandruff. Mix a quarter size amount of coconut oil with a few drops of lavender and apply it to the problem area. Lavender is a natural antiseptic and will speed up the healing process and prevent scarring. Lavender has been used for decades as a calming and relaxing herb for sore muscles and joint pain. Lavender will not only soothe the muscles by calming the aroma nerves, but it will increase circulation and stimulation on the applied area. 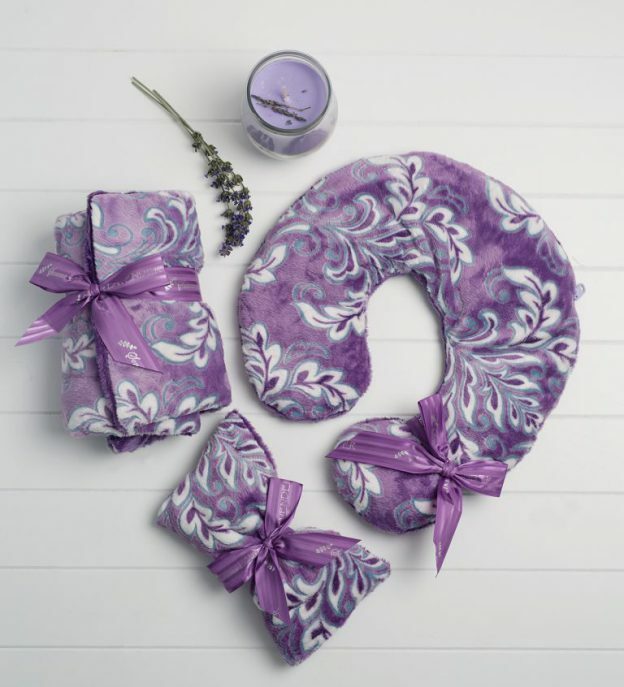 Adding a few drops onto a warm weighted neck pillow will bring instant relief from tense shoulders and stiff neck pains. Treat yourself to an in home spa experience by practicing one of the methods above or by mixing a few drops of lavender oil into an epsom salt bath. Not only will you feel deeply relaxed and soothe ailments, but you will smell amazing as well.